Posted on March 7, 2013 by Michelle M.
Recently, Ozzie packed up all of his belongings and moved in with Cooper and Dewey. 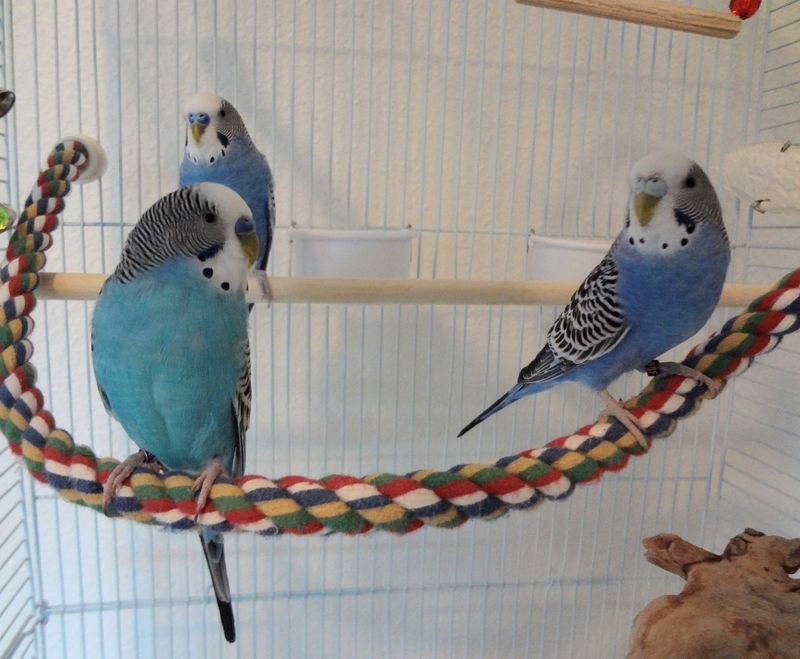 The three are getting along well. Ozzie is very popular. If he’s not hanging out with Cooper, he’s hanging out with Dewey. He’s rarely off on his own. 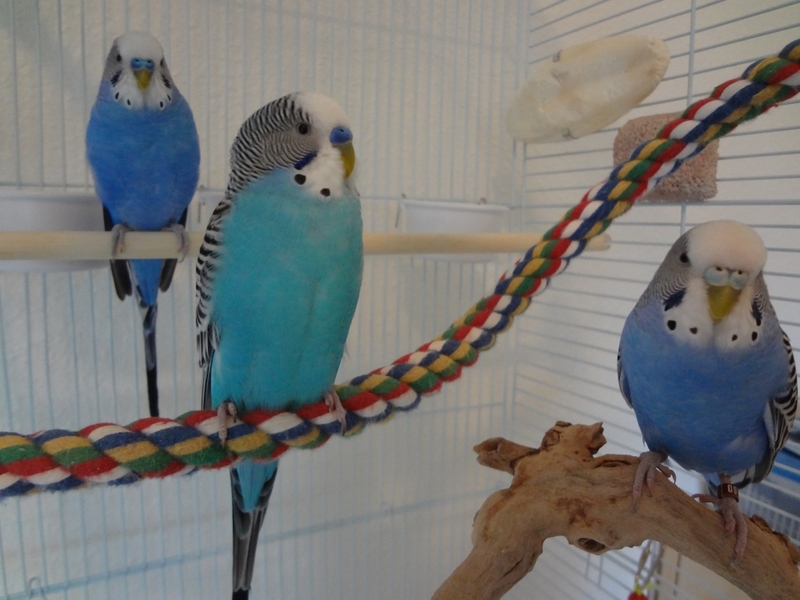 There has been the occasional squabble, but the budgies are doing a great job sharing their food/toys/perches. Cooper seems to have first dibs on everything, though. Hopefully, Sunny will have an easy move as well. 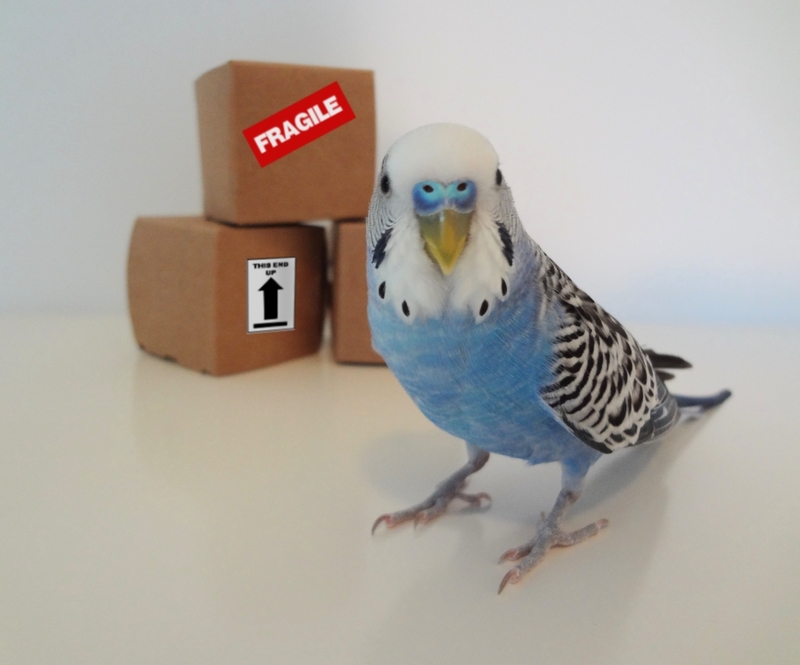 This entry was posted in Ozzie and tagged budgie, Cooper, Dewey, flock, moving day, parakeet by Michelle M.. Bookmark the permalink. Oh they look so happy and healthy. Hope Sunny will join them soon. His wicker star toy (that he, Cooper and Dewey have since torn apart). His swing is also very important. He sleeps on it every night : ). 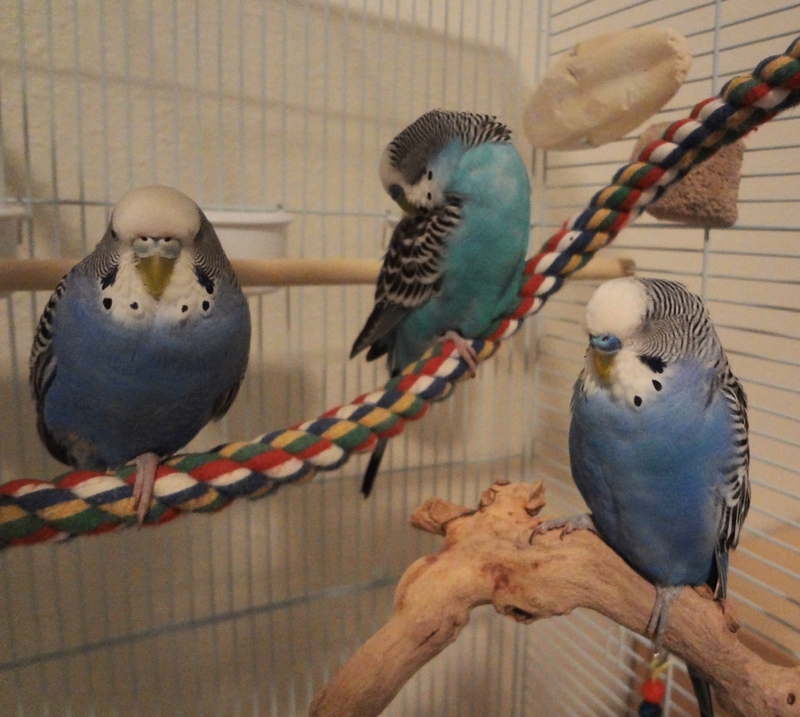 The photo of the three of them sleeping is too cute! I hope Ozzie is treating everyone to beer and pizza for helping him. That’s the real reason they’re so sleepy.